(NaturalNews) Max Gerson did not set out to cure cancer, his first goal was to cure migraines, his own affliction. After developing a diet that alleviated his headaches, he recommended his diet to his patients who suffered from migraines. One of his patients not only recovered from migraines, his skin tuberculosis healed as well. Dr. Gerson's success with treating tuberculosis through diet led to cancer victims seeking him out for treatment. He soon discovered his diet cured cancer as well. Over the years, he refined his diet and detox therapy, concentrating on eradicating cancer. "...I see in him one of the most eminent geniuses in the history of medicine. Many of his basic ideas have been adopted without having his name connected with them. Yet, he has achieved more than seemed possible under adverse conditions. He leaves a legacy which commands attention and which will assure him his due place. Those whom he has cured will now attest to the truth of his ideas." said Albert Schweitzer, M.D. , Gerson's lifelong friend. Gerson's treatment cured Schweitzer of Type II diabetes, saved the life of his wife who was suffering from treatment resistant tuberculosis of the lung, and cured his daughter of a chronic skin condition. The Gerson diet and treatment protocol begins with the soil. Gerson understood that our climbing rate of cancer began with toxic, depleted soil, and processed foods filled with additives. He spoke of how cancer, which had once been a disease that afflicted people in their later years, started sweeping through the population with the generation that first ate processed food as their staple diet. Gerson's diet is a detox diet filled with raw, organic whole foods, supplements, and freshly pressed juices. Patients consume juice on the hour every hour from up to 20 pounds of organic fruits and vegetables a day. Detoxing is a major component of his diet with low sodium, high potassium, and alkalizing the body. 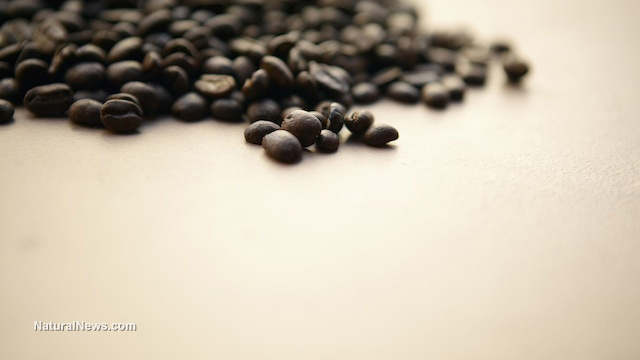 Coffee enemas are found to help detoxify and ease pain. The Gerson program is a 2-year program that is said to cure every type of cancer or other chronic illness. Documentaries on YouTube about Gerson and his work are very interesting. While other doctors are interviewed who say, "Show me one person who has been cured through Gerson's protocol." The film goes on to interview many people who have been cured. Gerson's medical license was suspended for 2 years in 1958. He died in 1959 from pneumonia, though reports say his death was questionable and he may have been poisoned. His daughter has taken up his cause and continues his work through clinics in Mexico and Hungary. Comparing the two protocols of the Budwig cure for cancer and the Gerson cure for cancer, Budwig's protocol definitely sounds more manageable. First there is the length of time involved (Budwig's patients often recovered within 3 months while the Gerson protocol is 2 years). Then there is the daily time involved, which for Gerson's protocol includes eating 3 freshly prepared meals per day plus 13 freshly squeezed juices per day (one freshly squeezed every hour) This regimen is exhausting work in itself, not to mention cost prohibitive. However, both programs are a means to oxidize the cells, achieve and maintain the proper pH, and utilize proper fats. Raw, fresh, organic fruits and vegetables provide the basis of both diets. Therein lies the road to health and healing. Prevention is the best cure. If you avoid all processed foods, eat a diet rich in raw organic fruits and vegetables, detox regularly (twice yearly), exercise to stimulate your lymphatic system, drink plenty of clean spring water, detox, rid your body of candida, and stop putting chemicals into your body through soaps, shampoos, and personal care products, your body will have a significantly greater chance of maintaining optimum health. For more information about the Budwig diet, click here. Allene Edwards first became interested in alternative medicine and holistic treatment modalities when she successfully used diet therapy to manage her children�s ADHD. Later when she became chronically ill with an auto-immune disease that multiple doctors could not identify, much less cure, she successfully treated both the symptoms and the cause through naturopathic treatment and nutrition. She is the Managing Editor of Organic Lifestyle Magzine and a regular contributor.